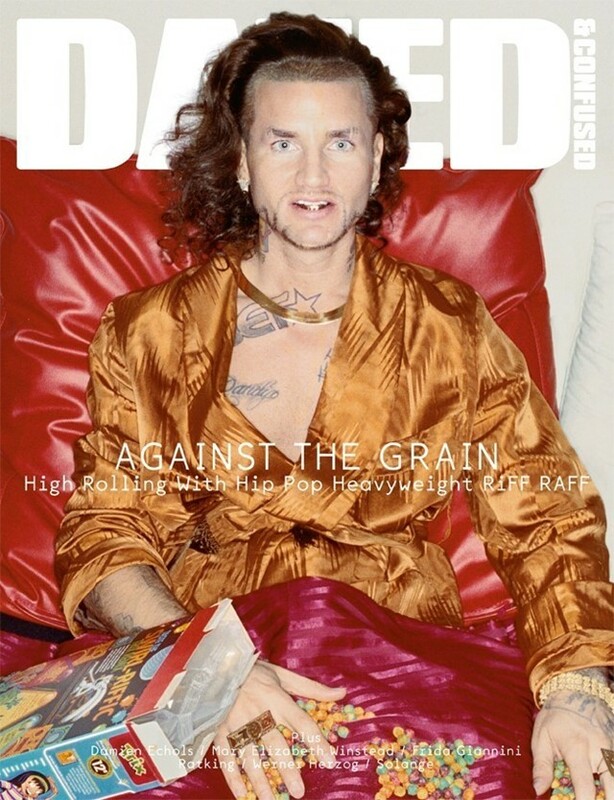 Dazed kicked off the year with a dedication to our favorite freaks, geeks and outsiders including RiFF RAFF and Werner Herzog; we also followed Damien Echols's long, hard road to justice – an eclectic cast of rebels to ring in the new year! 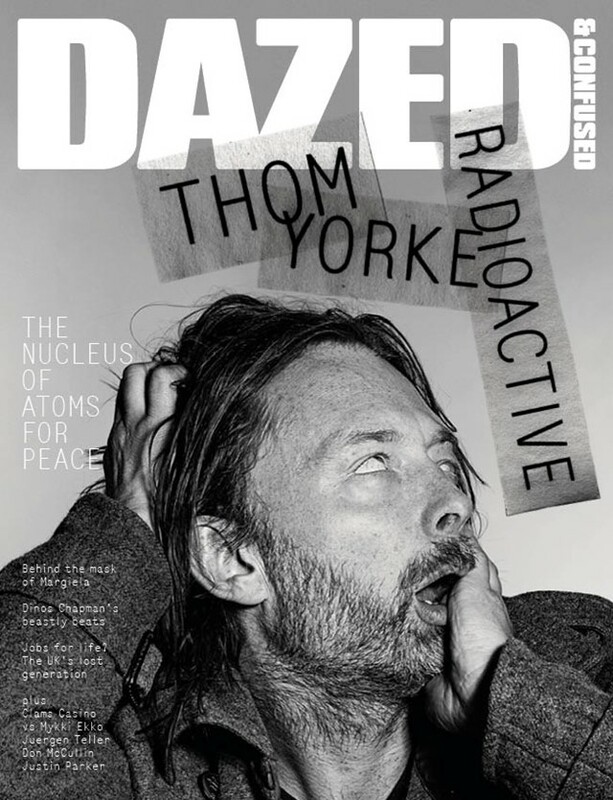 To celebrate such a colossal issue, we asked Thom Yorke himself to make us an A-Thomic mix of some of his favourite tunes, along side one of his most in-depth interviews to date. Fronted by ballerina-turned-Hollywood A lister Mia Wasikowska, March's collection special issue also featured profiles of delicate R&B souls INC, the singer leading the new fierce Jhené Aiko and Hit Boy. 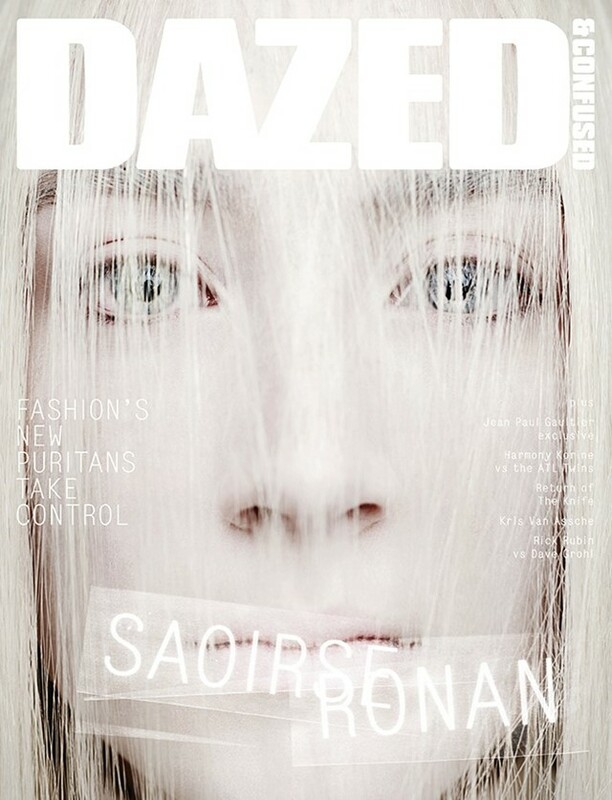 April saw an issue of new purity, featuring Irish actress Saoirse Ronan and Karen Orton’s Q&A with arms-treaty activist Paul Conroy. The Tribes Issue saw a cover described as 'hedonistic reverie', whilst inside featured the likes of Savages and Genesis Breyer P-Orridge. 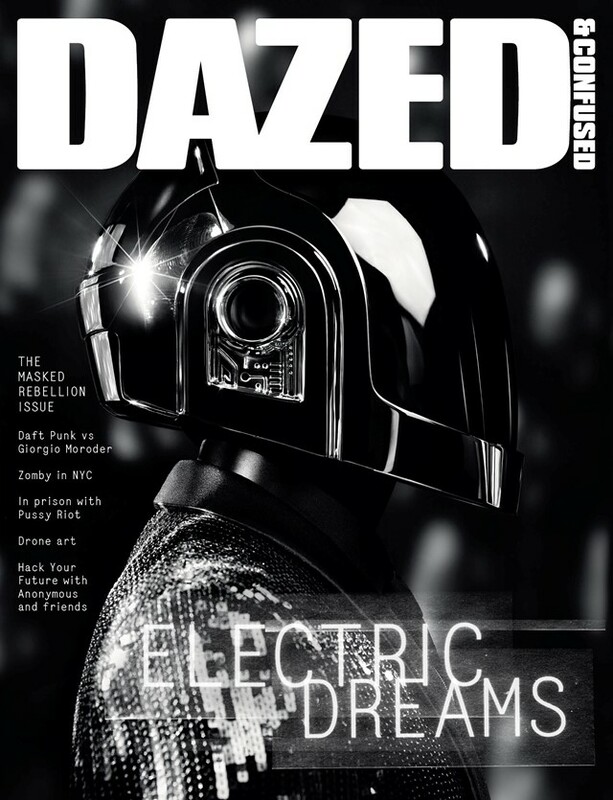 Daft Punk graced the cover for a second time, shot and styled by Hedi Slimane, they were interviewed in LA with their God and collaborator Giorgio Moroder. 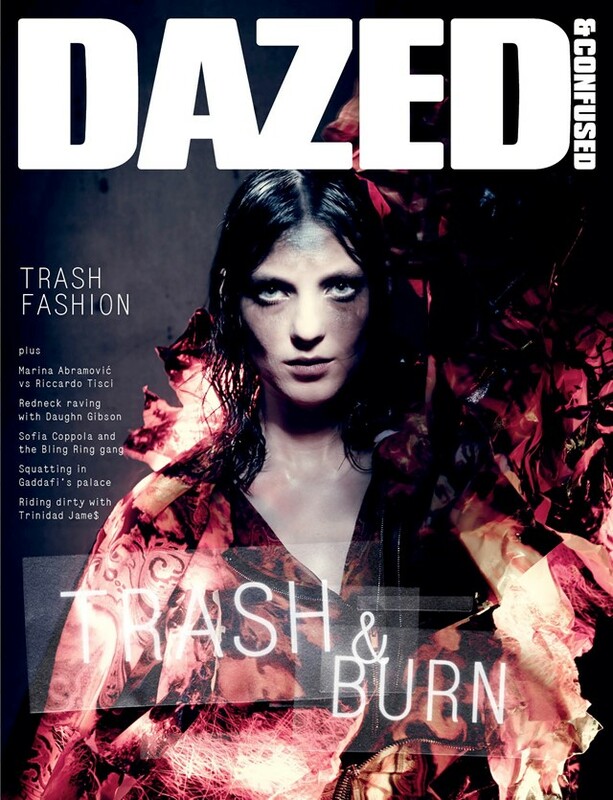 Trash Fashion was the focal point of July's issue, in which we celebrated its uncompromising legacy with Robbie Spencer chanelling his 'Trash & Burn' manifesto for the cover and feature shoot. A 50 page collections special presented the best of AW2013; Elizabeth Olsen styled in such for the cover by Robbie Spencer & Angelo Pennetta. Inside Dev Hynes met his idol Jimmy Jam. 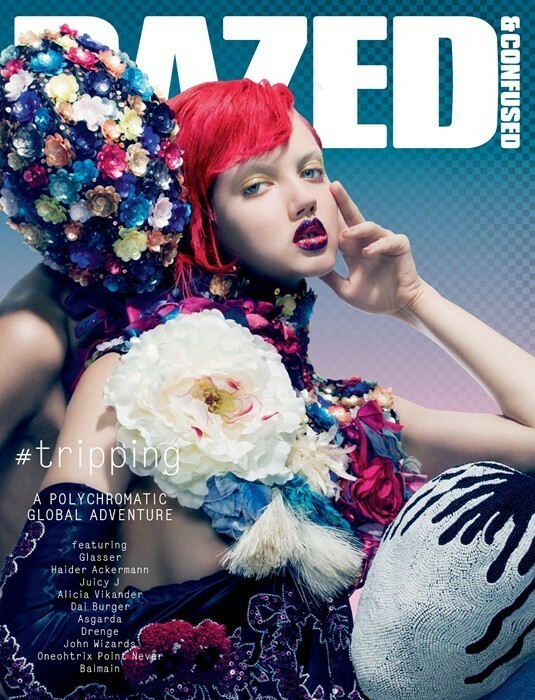 The #tripping issue, took the readers of Dazed 'on a world tour with a difference.' Features from Estonia to South Africa, and meetings with avant-garde musicians like Glasser. Twisted with tarot and shrouded in shamanistic magic, Dazed took you to hell and back for November's Dark Arts special, with Chloë Grace Moretz on the cover. The end of the calender year, but the beginning of something exciting for Dazed, with the launch of our new landmark video series "Visionaries". 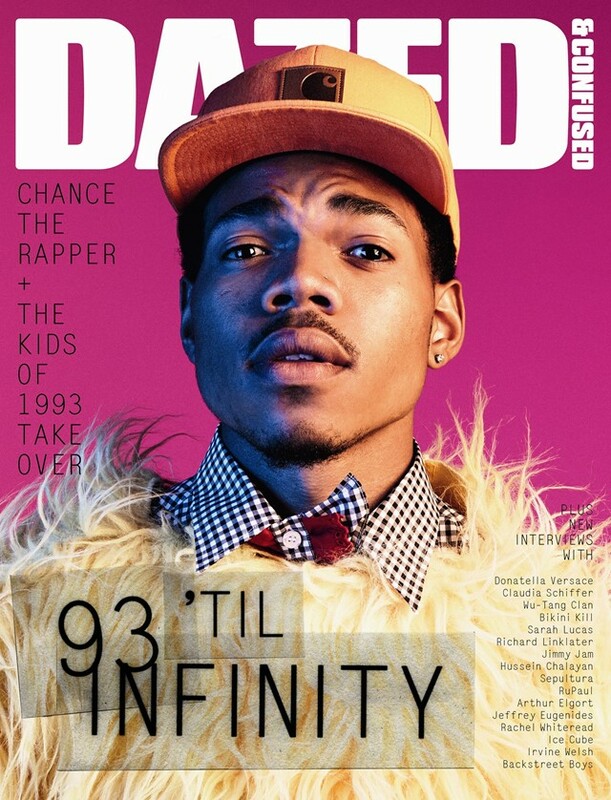 'Cinematic polymath' James Franco was not only our cover but our first curator of the new venture.